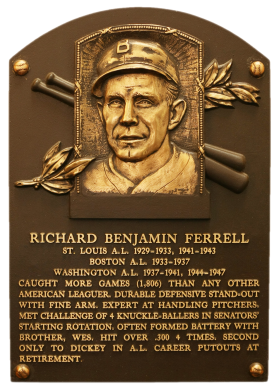 One of the few players inducted to the Hall of Fame primarily for defense, Rick Ferrell nonetheless hit .300 four times. He was a career .281 hitter and drew 931 walks. With the Red Sox, for four seasons Ferrell teamed with pitching Wes to form one of baseball's few brothers batteries. 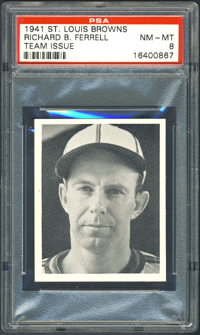 In May, 2006 I upgraded to a beautiful PSA 8 when I won another eBay auction from seller Lyle Mortamer. 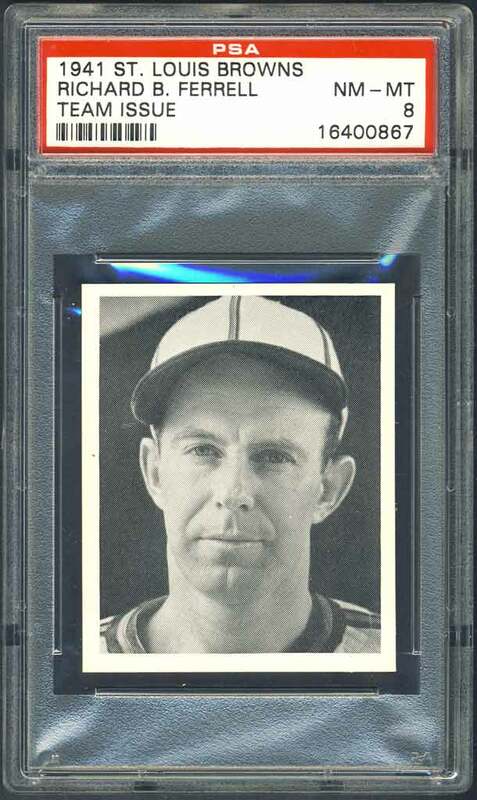 After deciding to stick with Bill Dickey for the 1940 Playball issue, I swapped the Ferrell out for a PSA 6 1941 W753 issue in August, 2006. I upgraded to a PSA 7 in May, 2008 with an eBay win and again to this PSA 8 with another victory in October, 2010. 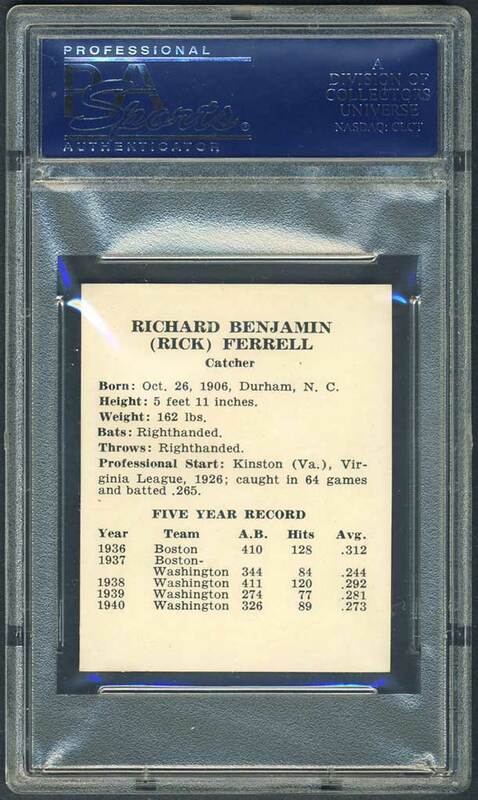 Funny….the PSA 8 was just slightly more than what I paid for the PSA 6. 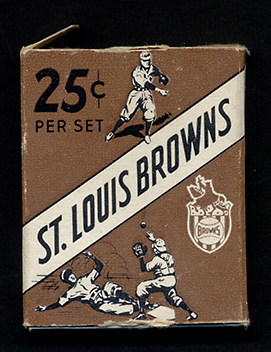 Description: Measuring 2-1/8" X 2-5/8", this unnumbered boxed set of cards features the St. Louis Browns in black-and-white portrait photos on front. Backs have player name, position, personal and statistical information.